Even though I’ve reviewed several episodes of Season 1 of Orphan Black, I thought it’d be best if just did coverage of the whole season mainly because not many people have actually watched this show. At College, I’m one of the only two people who I know to have seen it – and not many people on the internet who I contact on a regular basis have seen it either, at least to my knowledge – but the fact remains, it is an incredibly awesome show, and hands down the best new drama of 2013 – stretching ten episodes in length. The main strength of Orphan Black is its incredible acting talents by Tatiana Maslany, the female lead. Initially playing a streetwise hustler Sarah Manning – she finds herself thrust into a web of conspiracy and cloning when she sees somebody who is an exact replica of herself commits suicide by throwing herself in front of a train. Sarah, ever the opportunist – promptly steals the woman’s handbag and ID – thus learning about Beth Childs. She decides to go to Beth’s home, plunging her into a great mystery that we don’t really know the true extent of after the first season. 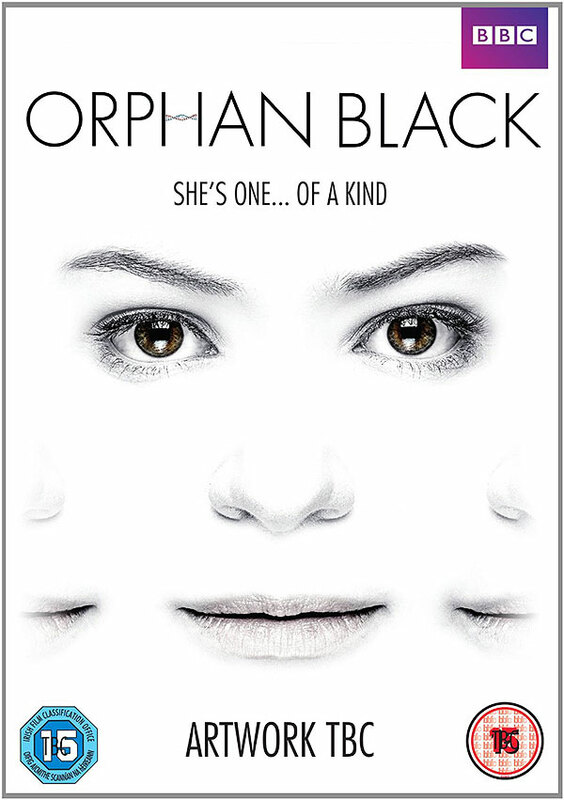 The first season of Orphan Black is compelling, enthralling and equally captivating. The main star of the show is of course the superb Tatiana Maslany, who plays not just one character, but at least seven – each giving different characters their own incredible depth of personality. For example, although they may seem easy to define – Helena is the unhinged serial killer, Alison is the paranoid soccer mom, and Cosima is the computer geek – they’re far more nuanced and three-dimensional than that and it’s refreshing not only to see not just one female character with a unique character development but all of them over the course of the series are fleshed out, made interesting and engaging – through a plot that remained unpredictable right up until the final episode. Maslany is easily the best thing to come out of Orphan Black – but we also get some fairly strong supporting cast as well. Matt Frewer and Maria Doyle Kennedy take up roles as Dr. Leekie and Sarah’s foster mother respectively – with younger cast members including Jordan Gavaris as the mostly comic-relief character Felix, Sarah’s foster brother – who still gets some excellent scenes. Then there’s Michael Mando as Sarah’s ex-boyfriend Vic, and Kevin Hanchard playing the less than subtle Detective “Art” Bell. This all adds up to an interesting dynamic and interaction between the various cast members as the season unfolds – with a near non-stop pace involved that will literally keep viewers on the edge of their seats. The show never feels rushed despite this, so that is an incredible achievement with the vast amount of things going on in this series. We get blend of several dramas ranging from horror to comedy with some intense drama thrown in there for good measure. It’s a show that I can certainly see myself rewatching again at some point because it’s just that great. The cast demonstrate some good interaction between each other, with some good chemistry displayed between Felix and Alison in particular –especially as the season unfolds. There are hardly any flaws in this season. The bad news is that it does end on a cliffhanger (and we are getting a second season, you’ll be pleased to know – so now’s the time to catch up), leaving the audience in great suspense – even if it does feel like a cop out in times, and if you’re English like myself then you’ll probably note that Sarah’s accent isn’t as great as it should be, but those are probably the only major flaws in this season. It’s instantly shot on the list of not only the best shows of 2013 but one of my favourite shows that I’ve seen, probably ranking in the Top 10. It’s just that good. Intense, visually engaging and not afraid to take risks – Orphan Black is the one show that you should watch in 2013 if you’re watching any new show at all. Top notch entertainment, and I really do hope that us UK viewers get season 2 at the same time as American folks do. It’s easily the best thing on BBC 3 at the moment, and that’s by a long shot. Hi, I just wanted to tell you I enjoyed your review of Orphan Black Season 1. I host/produce The Orphan Black Podcast and am currently doing a spoiler free season 1 review series (Working on episode 4 right now). I’m recording my podcast as if I haven’t seen anything beyond the episode I’m talking about. It’s not always easy, but I wanted for people to be able to listen to it while watching the show and not be spoiled. I stumbled upon your article while looking up recent news about Orphan Black to include in my podcast. It’s not something I can use but I enjoyed your enthusiasm enough to post a comment. If you would like to listen to my podcast you can either look up “The Orphan Black Podcast” on iTunes or visit my website http://solotalkmedia.com. I would love to receive feedback for the podcast from someone who loves the show as much as you do. Just don’t talk about anything beyond the episode I’m discussing.